Jaskaran Dhiman is a PhD Candidate working under the supervision of Dr. Shiv Prasher in the Department of Bioresource Engineering at McGill University in Montreal, Quebec. Jaskaran has been associated with IC-IMPACTS as an HQP since September 2014. In 2018, he served as Regional Research Coordinator (Quebec) with the IC-IMPACTS Student Engagement Committee (SEC). Jaskaran participated in the 2016 Summer Institute hosted by IC-IMPACTS at UBC in Vancouver, British Columbia. He also organized a one-day research workshop sponsored by the IC-IMPACTS HQP network in Ludhiana, India on July 2, 2018. Prior to starting his research at McGill University, Jaskaran worked on developing a NIR based predictive model to estimate ignition and fire risk associated with different biomass dusts using PCA (principal component analysis) which earned him a master’s degree in Biosystems Engineering from Auburn University, Alabama, USA in 2014. 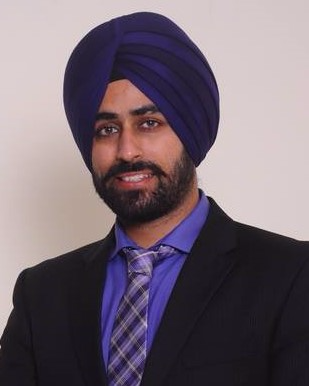 Jaskaran also worked as a Senior R&D Engineer in a German combine harvester manufacturer company, CLAAS for three years (2009-2012), after completing his bachelor’s degree in Agricultural Engineering from Punjab Agricultural University (India) in 2009. He is currently working on the use of superabsorbent polymers and biochar to promote safe use of wastewater in agriculture. Through his research, he has been working for the betterment of farmers in Punjab (India). Jaskaran received the “Mitacs Globalink Research Award 2018” to conduct research on wastewater treatment in rural areas of Punjab (India) and was recently selected as a member in the International Advisory Board (IAB) of CT University, Ludhiana, India.